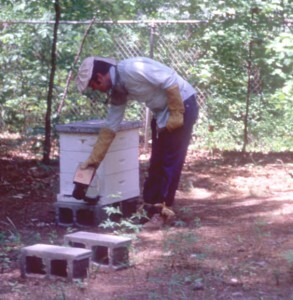 Dr. Tew, I am trying to locate your power point presentation: ‘An Overview of Queens and Simple Queen Production’ that you referenced in an article you wrote (The Colony Queen – An Overview) for the April 2011 issue of Bee Culture. I tried the long URL you gave at the end of the article but could not locate it. I am also somewhat computer challenged and it may just be an entry error on my part. I used the honeybeelab.com address and got this far. I am president of our local bee club here in Onslow county (Jacksonville, NC) and am trying to make a talk on simple ways to raise queens without grafting. Our club does not have a website yet, only a facebook page facebook.com/onslowcountybeekeepers. I really enjoy your articles in Bee Culture.